It’s apparent politicians have designed a campaign that polarized the electorate towards Wisconsin’s wild wolf. 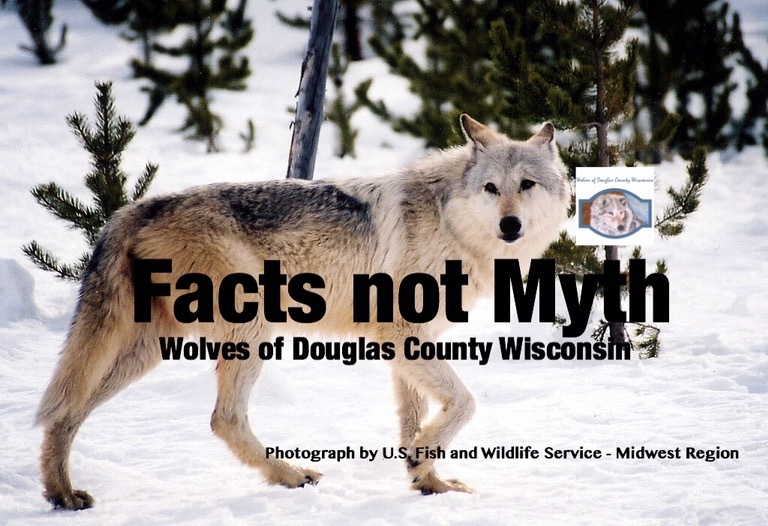 Wolves of Douglas County Wisconsin (WODCW) will be attending: (WDNR meeting) The Wildlife Management Program will provide information collected during the 2016-17 wolf monitoring period. Wisconsin’s wild wolf is the most talked about animal of late. 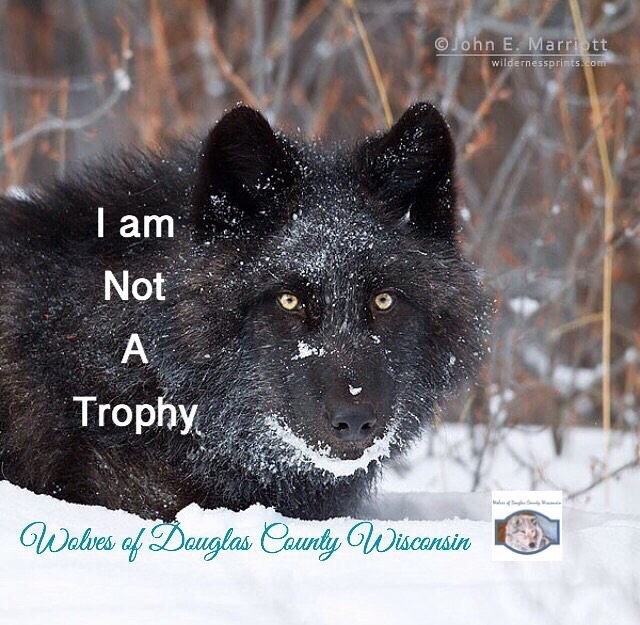 Politicians in Wisconsin have villianized the wolf, and are pushing to delist him. It’s no secret that one cannot trust politicians. Politicians are in competition between competing interest groups or individuals for power and leadership; they’ve created propaganda to make the wolf look bad. 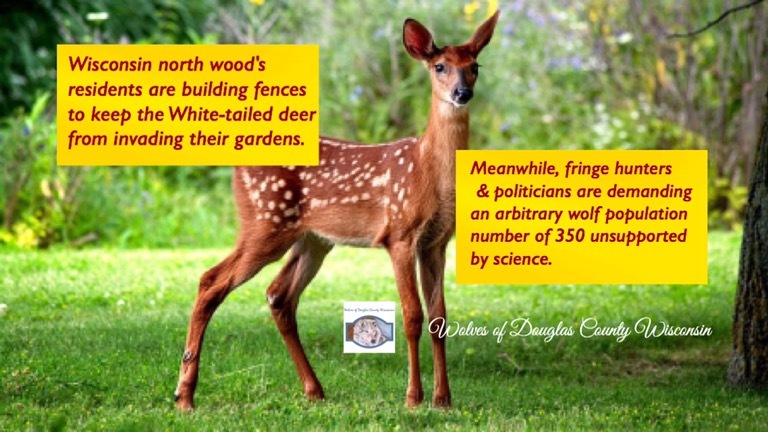 Politicians have removed science from wolf management and replaced it with political rhetoric. They put together a Wisconsin Wolf Advisory Committee with stakeholders primarily from the hunting community. It’s not to point fingers at ethical hunters; this concerns fringe hunters, that hold the gray wolf in contempt; making him a game animal for trophy hunting. These fringe hunters, backed by politicians, backed by special interests groups; push for an arbitrary 350 wolf population unsupported by science. Their goal is to delist and hold a trophy hunt in Wisconsin. A wolf hunt they claim is necessary to control depredations on livestock. I attended a Wisconsin Wolf Advisory Committee meeting in 2014. At this particular WAC meeting the Wolf Management Zones were being redesigned. A member suggested two sub-zones for hunting should be created to address high depredations on livestock in those areas. A member replied to that suggestion stating that wolf hunters will not go for sub-zones; with another member reminding the committee, that the wolf hunts are for controlling depredations on livestock. In the end the committee laughed at that final suggestion. There’s no scientific basis for holding a wolf hunt on an imperiled species. Wolves are an endangered species that were pushed to the brink of extinction. Wolves are a part of Wisconsin’s wild legacy. Wisconsin’s wolf recovery began in the late 1970s. Wisconsin’s wolf management policy must “do no harm” and work to educate not eradicate; Wisconsin wolf management policies should take into account the welfare of wolves and their habitats, ensuring the fate of wolves. Wolf trophy hunts are about power not conservation. WDNR public wolf count meeting for reporting the results of the winter monitoring period has been scheduled. Information is below.